The trade war between the US and China is taking an ugly turn. At the centre of the trade war between the two economy giants is the stealing of massive Intellectual Property (IP) of the US enterprises by the Chinese business firms and other dubious entities. It is to be noted that irrespective of the current standoff between Washington and Beijing — starting from the Huawei to an incessant trade war to blocking of Jaish-e-Mohammed chief Masood Azhar as a global terrorist at the UN — US President Trump needs to be careful about the immediate consequences of falling apart with the $14trn worth Chinese economy at the moment. Amid claims and counter-claims by both Washington and Beijing, it is worth noting how both are veering around the IP issue and defending one another. For Trump Administration, making China listen and take necessary steps to curb sheer violations of IP rights that amounts to some good billions each year is the aim for now. For President Trump, what is good for him is that a large business and political community in his country agree that China can spoil the global trading system in the long run. China’s steroidal State capitalist regime poses a serious threat to the current international business system. But then, China strongly refuses such claims constantly made by both the American Chamber of Commerce in China (AmCham China) and the European Union of Chamber of Commerce in China (European Chamber). Last year, China’s Vice-Minister of Commerce Wang Shouwen publicly declared that accusations that China steals IPRs and forces technology transfers are sheer fabrications out of nothing and groundless. The Xi regime has outrightly rejected US and EU allegations. Indeed, the Chinese Government says that it is keen on protecting IPRs and has already taken serious steps in doing so. Ironically, the AmCham China and European Chamber in their China business climate survey, ranked the IPR issue as the 12th and the 11th last year. But this has given fresh ammunition to Beijing to reclaim that if China had forced technological transfers, failed in IPR protection or even stolen IPRs, the concerned enterprises would have complained directly. It has been constantly aired by the Government that in terms of IPR legislation, China has enacted adequate laws and regulations which are truly compliant to WTO directives. Meanwhile China has set up three IPR courts in Shanghai, Beijing and in Guanghou and special judicial branches in more than 15 cities to handle cross regional IP cases. This all is fine on official records. What makes foreign enterprises fighting IP issues see it is as a herculean task is to fight China’s opaque judicial system. And moreover, all these organs are party-controlled and cases are always bias either towards the locals or state owned enterprises. Now the question is how the Trump Administration will wade through this crisis and find a way out wherein; first, the interests of American enterprises are served, and second, most of the European and other corporate houses are well protected from the clutches of Xi’s new-found market socialism. Besides, as the presidential election fever is about to grip America, the President must bring an end to the current trade war between the US and China. Again, his team demands a robust public relations campaign to respond to the Opposition and special interest groups. Contrary to what Xi proclaimed, he is turning all his efforts to mount a nationalist fervour so as to drum up continued support for strengthening the Communist Party at home and expansion of China’s shady deals abroad. It must be noted here that when China joined the WTO in 2001, it clearly pledged not to demand technology transfer from the MNCs coming to operate inside as one of the prime conditions for market entry. Global experts say it is really difficult to make a case against China because it has generally observed by the letter of its WTO commitments. In reality, what makes running business tricky in China is the indispensable role of the local partners that play on the global corporate houses. It has been noticed that from car manufacturing to cloud computing, only with the aid of the local agents and partners, the MNCs can make their business happen. When it comes to the project implementation level, the Chinese regulators demand methods of product testing and approval procedures which results in compelling the foreign companies to divulge their IP secrets in the process. 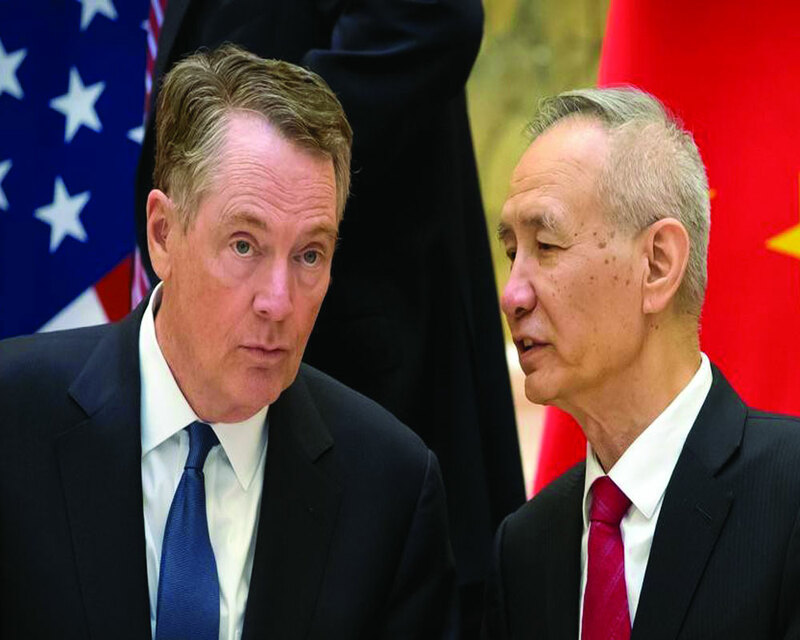 Various global trade experts say the unstated goal behind the entire process is to help the Chinese companies getting easy access to foreign technology. But then the Beijing smartly replies quite often that these business regulations and verification procedures are completely voluntary and are purely commercial agreements made between concerned MNCs and the Chinese Government. Another serious problem that directly hits the foreign MNCs in China is the issue of “quojin mintui” (the State advances, the private sector retreats), particularly under the Xi Government. The Government and its banks systematically funnels cheap capitals towards these state owned firms at times at the cost of the advancement of the big corporate houses. Simply speaking, economic reforms if at all carried out by Xi, it would be a win-win situation for both China and America. However, looking at China’s poor global compliance records so far, Trump requires more manoeuvring tactics to encounter a recalcitrant Beijing administration either through tariffs or with the help of arbitration to save the treasured IPs of global giants.